Mr. Ely’s 36 years of experience have allowed him to handle projects as diverse as serving on the recruiting teams that successfully induced both Mercedes-Benz and Hyundai to locate their first U.S. manufacturing plant in Alabama, while representing taxpayers before the Internal Revenue Service, the Alabama Department of Revenue and local taxing authorities. His practice focuses on three concentric areas: representing taxpayers before federal, Alabama and local administrative and judicial forums; advising companies on choosing the proper form of entity through which to conduct business in the Southeast and potential tax incentives; and advising companies and various trade and professional organizations regarding state and local tax legislative matters. He also devotes a substantial amount of time to teaching and writing on SALT-related topics. Mr. Ely was founding Chair of the firm’s State and Local Tax (SALT) Practice Team, which represents taxpayers before the Alabama, Tennessee and Mississippi Departments of Revenue as well as local government taxing authorities and the state and federal courts. He has served as counsel to multistate taxpayers in cases before the U.S. Supreme Court but more often before the Alabama appellate courts, circuit courts, and the Alabama Tax Tribunal, formerly the Alabama Department of Revenue Administrative Law Division. As part of his governmental affairs practice, Mr. Ely has co-authored a number of landmark pieces of tax and business entity legislation in Alabama, including the Corporate Income Tax Reform Act of 1985, the Alabama Taxpayers’ Bill of Rights/Uniform Revenue Procedures Act of 1992, the Local Tax Simplification and Local Tax Conformity Acts of 1998, the Alabama Limited Liability Company Act, the Municipal Business License Reform Act of 2006, the Alabama Taxpayer Fairness Act of 2014, and numerous, more statute-specific tax bills. 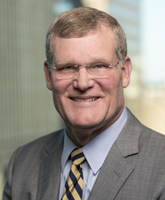 He has served as counsel to several state tax reform, economic development, and constitutional reform commissions over the years and writes extensively on those topics as well as on other multistate tax issues and incentives matters. Early in his career Mr. Ely became known for his experience on the state taxation of pass-through entities and has chaired or co-chaired several American Bar Association Tax Section and Alabama State Bar committees and task forces on the subject as well as having written numerous articles in tax or business law journals and treatises such as “Keatinge & Conaway on Choice of Business Entity” and Professor Richard Pomp's casebook, "State & Local Taxation.” He speaks regularly on these topics at the national and state level and serves as an adjunct professor in the University of Alabama's graduate accounting program, teaching SALT. Mr. Ely is a longstanding Fellow of the American College of Tax Counsel and is included in the International Who’s Who of Corporate Tax Lawyers as its only Alabama member. He is immediate past Chair of the New York University Institute on State and Local Taxation and a member of the Bloomberg BNA Multistate Tax Advisory Board. He is also a longtime member of the Alabama Law Institute and of the Board of Directors of the Public Affairs Research Council of Alabama (PARCA), a non-partisan good government think tank headquartered at Samford University in Birmingham, AL. He is former Chair of the Alabama State Bar Tax Section, and currently chairs its Legislative Review Committee. In October 2017, Bruce was honored to receive the Council on State Taxation (COST) annual "Paul H. Frankel Excellence in State & Local Taxation" award. In 2013, he received the inaugural Paul H. Frankel Award for Outstanding Achievement in State and Local Taxation from New York University and was recognized as one of the "Top 10 Tax Lawyers in the United States" by State Tax Notes/Tax Analysts. He earned his B.S. in Accounting and law degree from The University of Alabama [with honors] and his LL.M. in Taxation from New York University School of Law. First recipient of the Paul H. Frankel Award for Outstanding Achievement in State and Local Taxation from the New York University School of Continuing and Professional Studies (NYU Institute on State & Local Taxation, Dec. 2013).